Blackrock Further Education Institute and a range of bars and restaurants. Comprehensive School and Newpark Sports Centre. 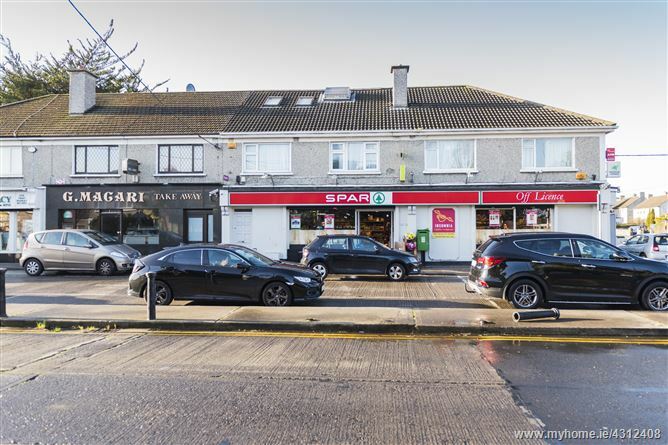 The property comprises a predominantly two storey mixed use building with dual frontage along Newtownpark Avenue and Rockville Road. The building extends to approximately in total and is arranged to provide a ground floor retail unit with residential accommodation on the first and part second floor. The ground floor is trading as Spar and benefits from the tenant’s branded fit-out, to include delicatessen, off licence and ATM. The general specification includes suspended ceilings, tiled floors and fluorescent lighting. The retail accommodation extends to approximately 295 sq.m. (3,175 sq.ft. ).